Intellifilm is happy to help raise money for Title 1 school kids who are less fortunate to afford this amazing program on their own. As everyone knows, the economy is hard right now. For that reason, the school has had to make the tough decision of cutting funding for this program. 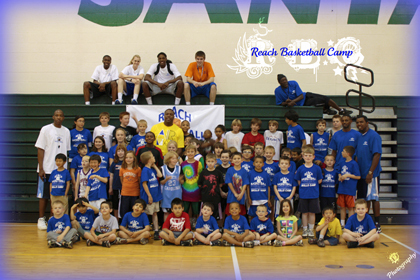 All members of the Reach Basketball staff display an extraordinary amount of commitment and hard work, ensuring that our program is a positive influence in the lives of our children and athletes. They also strive to provide a service to our community by providing a healthy outlet for children and teenagers, opportunities for the community to gather together, and endless hours of entertainment. Last year there were 7 teams of 7 children from the Title 1 that wouldn’t be able to play this time around because of the lack of funding. The Reach Basketball Program is expecting there to be about 10 Title 1 team and 10 regular teams this year. Reach Basketball is proud to partner with Intellifilm to raise money in support of “Title 1” schools. Title 1 schools are in low income areas and in the past have relied on funding by the public school system to enable its students to participate in Reach Basketball camps and leagues. This year, economic hardship has forced the school districts to eliminate funding completely. As it stands, over 200 children will be affected. Please help an under privileged child continue his/her “Hoop Dreams”. Intellifilm will be donating 10% of all sales from this program to Reach Basketball, to ensure that Title 1 students are able to participate in Reach Basketball’s amazing basketball camps and leagues. Funds are needed for everything from jerseys and shoes, to coaches and staff. Intellifilm sells and installs 3M’s window films for homes, businesses and autos. They will offer a 20% discount to all of Reach Basketball’s members and supporters. Intellifilm will also be featured on the TV show “Better Arizona” on Channel 5 tomorrow, 12/2, at 10AM.